Traditionally the task of any search engine was to find information on the internet and provide links. That role has expanded exponentially and the internet is now a part of the reality that surrounds us. Search engines now have to look for all kinds of things, not just online but all over the offline world as well. Not only do they they just look for things and find them – they also give helpful suggestions in any real-life situation. Contemporary search understands the desires of every individual user, as well as the reality in which the user exists. That’s why it can give suitable suggestions for each person, individually – ranging from what to read, where to go for a meal and what music to listen to. It assists in showing how to get home in the fastest possible way, where to book the cheapest flights, and much much more. Search always was and still remains Yandex's core product. Now that we have a broader understanding of it's role and that of a universal aid, assistant, and a guide to everything that surrounds us it’s about giving the right suggestions at the right place and time. Helping to make well educated choices and getting things done and planning future events. Yandex provides a multitude of services for the general public and webmasters alike. It is safe to say they have covered every aspect of users requirements and continue to develop cutting edge software that is shaping the future of internet technology. ​Yandex affects the internet ecosystem as much as any other key player on the market. We understand that it is our responsibility to make sure that our influence is beneficial. Our core value is the interests of our users. To serve the interests of our users, we need an open, diverse environment with a multitude of quality resources. Tens of millions of users submit their search queries, and millions of sites respond. Those that reply to the queries in the best way are getting happy visitors. The task of Yandex search is to lead the user to the answer as quickly as possible. A good site is one that is intended for humans. If a user can read the text published on the site, view the images and find the required section, this is good enough. But Yandex search engine is just a complex piece of software. If you want it to read all of your site content, you should plan for this when you design the site. The present manual helps webmasters and site owners to make their site index seamlessly and be ranked correctly by Yandex search engine. We tried to list all the main actions that you should perform while designing your site. Following our recommendations will enable you to avoid errors that may harm your pages ranking in the search results. Following our recommendations does not guarantee you an increase in the number of visitors, because at the end of the day it is only the quality of your resource that defines its popularity. 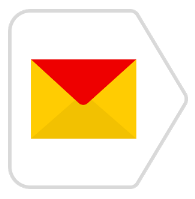 ​Yandex.Mail is a service that provides mailboxes on Yandex servers free of charge. Over 12 million messages go through Yandex.Mail every day (excluding spam). 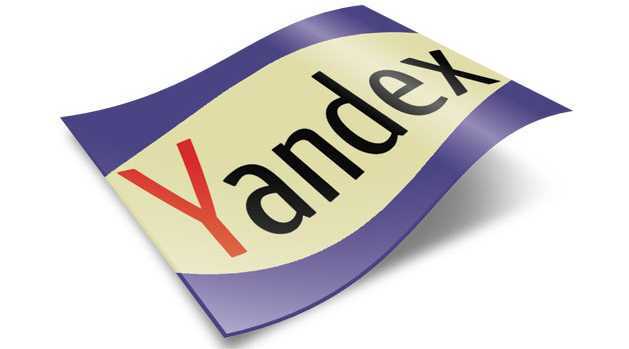 Click image for Yandex pdf fact sheet and history. Please visit the Blog+ link in the footer of this page for more information and service links. The better you know your audience, the more effectively you can work with it. they use your app, and any crashes or errors that might occur. Track all sources of traffic – whether from websites, mailing lists, QR codes, or advertising. that isn’t yet participating, send us a request. ​Analyse audience retention; evaluate efficacy of ad campaigns and new releases. AppMetrica provides cohort reports by installation date, and further segments it by traffic source, app version and other filters. ​If the list of advertising networks does not include those that you need, or you would like to bring traffic from your own platform, you can independently connect them via the tracker interface. This function allows you to send your partners the parameters of effective installs and events in real time – and instantly optimize CPI and CPA campaigns. ​​Configure the tracker so that users who have already installed an app will go straight to it and not the store when they click an ad link. Deeplinking can also be used for customer re-engagement campaigns.